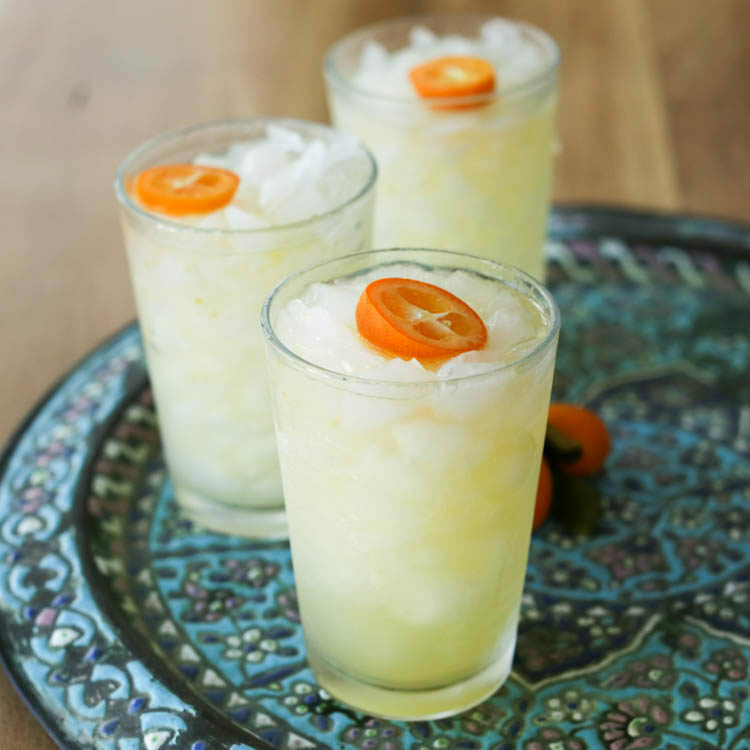 Still basking in the glow of kumquat season (and my everlasting love of tequila) I woke up Saturday morning on a mission to come up with a top-notch kumquat margarita recipe. That was a long day. 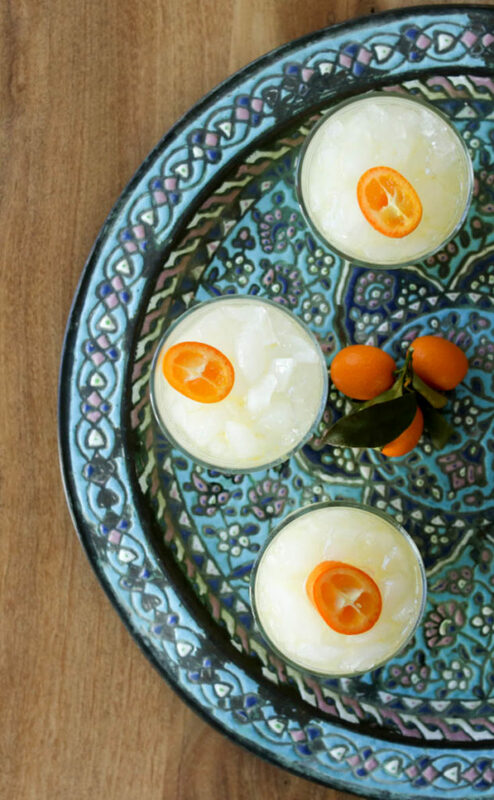 Cut the kumquats into quarters lengthwise and muddle in the bottom of a shaker. Muddle it well – 20-30 seconds to get the rinds really broken up. Add ice cubes, tequila, orange and lime juice. Shake for 60 seconds. If you like this margarita recipe, also check out my frozen mango margarita and spicy habanero margarita recipes!